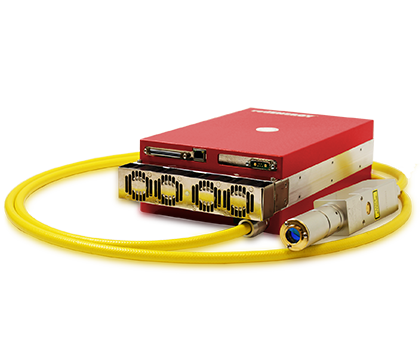 Our range of redENERGY Pulsed Fiber Lasers are incredibly versatile due to their ability to automatically adjust the pulse energy and pulse shape using the many PulseTune Wave Forms. Our range of redENERGY Pulsed Fiber Lasers are incredibly versatile due to their ability to automatically adjust the pulse energy and pulse shape using the many PulseTune Wave Forms. These 0.4mm thick brass strips were cut, scored, etched, and colour marked all during the same operation, all taking less than 140s. All of the processing was performed in the focus plane. This means time is not lost changing optical settings between different process operations. 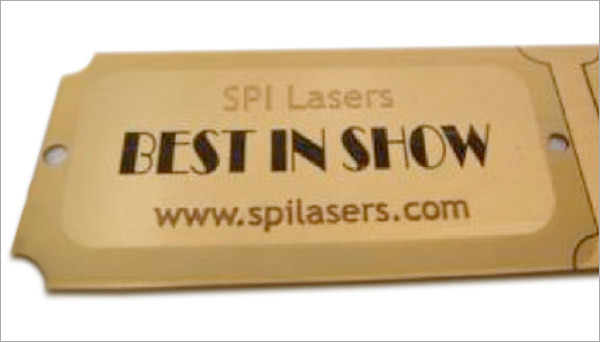 The 30watt redENERGY S-type Laser has the small spot size, and consequently the energy to cut through bright metals like brass and silver and can be instantly modified to create the different and consistent lower energy pulses required to create the different permanent colours shown. Wave Forms are assigned specifically to each mark and cutting object and controlled digitally without any delays as needed to adjust competitor systems. One laser, many processes!